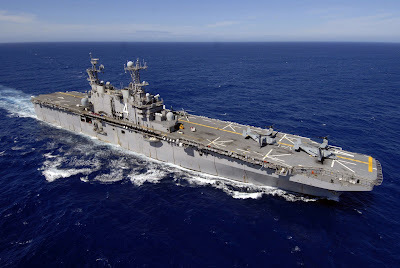 Amphibious Carrier Nassau carrying Ospreys to Iraq. Lawmaker to Navy: Cut new destroyers, build cruisers faster. Brahmos Missile Successfully Tested at Sea. Marines make case for more amphibs. U.S. Navy Mulls New F/A-18E/F Buy. U.S.S. Ohio among Navy's most feared subs. Naval Missile Strike Hits Terrorist Base in Somalia. New ship designs promising, but untested. Ship built with WTC steel christened. China's nuke expansion at sea. Canada to send three ships to the Gulf.